The launch of high-end residential projects and M&A activities proves the high-end segment continues to attract major investment from foreign developers though the trend may be set to change. 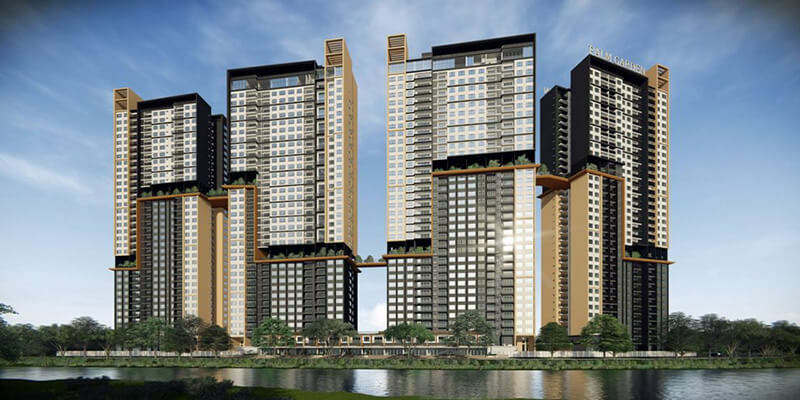 Mapletree Investments launched the second phase of its high-end residential project One Verandah on December 15, after the first phase launched on June 30 saw all 249 released units sold out in just half a day. 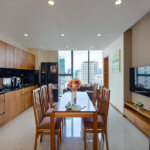 The prime 1.7-ha site sits in the burgeoning area of District 2 in Ho Chi Minh City and comprises five 22-story towers with high-end apartments ranging from one to three lavishly-furnished bedroom units, duplexes, and penthouses. One Verandah is nestled in the luxurious enclave of Thanh My Loi and is the second high-end residential project developed by Mapletree Investments in Vietnam. It could be one of the last riverfront residential projects in the area that offer breathtaking panoramic views of the Saigon River and the city’s skyline. “Positive market sentiment on the ground fuel demand and supply in Vietnam’s high-end residential segment,” Ms. Wendy Koh, Regional Chief Executive Officer, South East Asia, at Mapletree Investments told VET. One of many foreign property developers in Vietnam, Keppel Land held an exclusive preview of Palm Garden in December, the second phase of the Palm City waterfront integrated township and comprising 617 high-end residential units. On 30.2 ha, Palm Garden is divided into many stages and features high-end services such as a shopping center, a kindergarten, an American International School, and an international hospital. 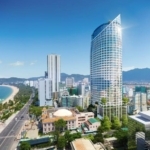 Keppel Land also launched The Infiniti in November, a high-end condominium project boasting a host of retail amenities. In the heart of District 7, the project consists of four blocks providing 801 units of diverse size and design, including one to three-bedroom high-end apartments, duplexes, and penthouses. Mr. Linson Lim, President of Keppel Land in Vietnam, told VET that high-quality properties with innovative and sustainable lifestyle concepts are becoming highly sought after. Gamuda Land has also recently introduced its high-end Diamond Brilliant apartments, in the west of Ho Chi Minh City within the Celadon City eco urban township in Tan Phu district. 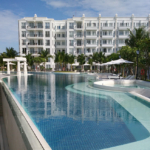 The project is specifically designed for high-income earners and offers trendy lifestyle concepts. Besides standard apartments, customers can also choose high-end apartments of two or three bedrooms and change the layout as they please. According to Savills Vietnam, 2018 also saw a number of high-end residential projects being sold to foreign developers. CapitaLand acquired a prime site in Hanoi’s Tay Ho district in March and another prime site in Ho Chi Minh City’s District 2 in August. In April, Frasers Property entered into a conditional agreement to acquire a 75 per cent interest in a mixed-use development plot in District 2. “The high-end residential segment has attracted a large proportion of foreign capital in 2018,” said Mr. Neil MacGregor, Managing Director of Savills Vietnam. 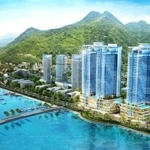 In explaining the development of the segment towards foreign developers, many experts have said it is because Vietnam’s super-rich are strongly growing in number. Wealth-X released the World Ultra Wealth Report in September, with the super-rich being defined as individuals with over $30 million in assets. Vietnam ranked third in the world in terms of growth in its super-rich during the 2012-2017 period, with 12.7 per cent per year, followed by Bangladesh with 17.3 per cent and China 13.4 per cent. The report also forecast that the proportion of super-rich in Vietnam will increase by 170 per cent by 2026, bringing the total number of people falling within the definition to 540. The number of Vietnamese dollar millionaires is also expected to increase from 14,300 to 38,500 over the course of the next decade. Foreign developers have recently seen similarities between Ho Chi Minh City and major regional cities such as Shanghai or Singapore, according to JLL. Ho Chi Minh City is on the same route to becoming a prosperous modern city and investors are putting their money down to make sure they don’t miss out on price increases as the southern city develops. Even though a large number of customers in this segment are foreigners, there are still many policies in place to catch their eye. 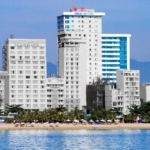 A legislative change in July 2015 allows foreigners to buy or take out a long-term lease of property in Vietnam. Savills’ research noted that demand from foreign buyers has increased steadily after the amended Law on Housing allowed foreign property ownership, of which many higher-end projects quickly sold their 30 per cent quota to foreigners, with the majority of buyers coming from Taiwan, Hong Kong, and South Korea. Many other segments will become the focus of foreign developers in the future. Ms. Koh said that apart from the mid and high-end residential segments, market observers have noted the low supply of Grade A office buildings and corresponding surging rents in Vietnam. A JLL report also showed that in Ho Chi Minh City, Grade A and Grade B supply are expected to remain scarce to end-2018 while by the end of 2020 high-quality Grade B supply is expected to be completed and likely put pressure on Grade A. In Hanoi, there was no new Grade A supply in the third quarter of 2018 and the Grade A office performance will remain positive, with no new supply to be completed until the first quarter of 2019. 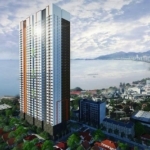 Ms. Koh also revealed that in line with market demand, there are plans for Mapletree to develop two more office towers in the precinct of Saigon South Place in Ho Chi Minh City’s District 7, further strengthening Mapletree’s office portfolio in the country. With a different forecast, Mr. MacGregor believes that while developers remain keen to tap into the niche high-end residential segment, Savills has seen a notable shift of capital towards affordable housing, which has always been where the majority of demand lies. “Aside from residential development, the industrial sector has also started to gain considerable interest recently on the back of a surge in FDI into the manufacturing sector as well as a maturing market for logistics warehousing,” he added. 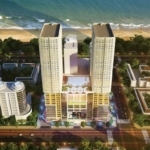 In general, the high-end residential segment in particular and Vietnam’s real estate market in general still holds potential for foreign developers. 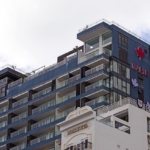 “Vietnam’s property market is now offering long-term growth potential and opportunities for foreign investors, which in turn will have a positive impact on all sectors of the property market,” said Mr. Lim.